With over 20 years in the housing industry, real estate was a natural fit. I believe strongly that it's not only my duty to represent my clients to the best of my ability, but to educate them throughout every step of the process with factual information and market insight. My goal is to empower my clients so they can make the best decisions possible. With strong customer service, work ethic, and dedication, I am ready to work for you today. Denise was an awesome agent! She is very conscientious, thorough and ALWAYS kept us abreast of what was going on throughout the purchase process. 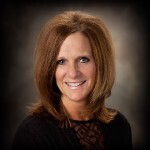 We would highly recommend Denise to anyone in the market for a real estate purchase or sale! Thank you so much Denise!